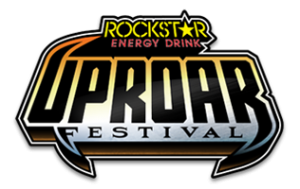 Rockstar Energy drink bring their famous UPROAR festival tour to the blossom music center. One of the most exciting rock festivals to come to Cleveland this year! With so many bands, Rockstar have packed performances into one entire afternoon and evening FULL of non stop live music from these legendary rock bands! One entire day of non stop rock music in our famous indoor and outdoor music venue. If you’re a rock fan this event is certainly not to be missed!